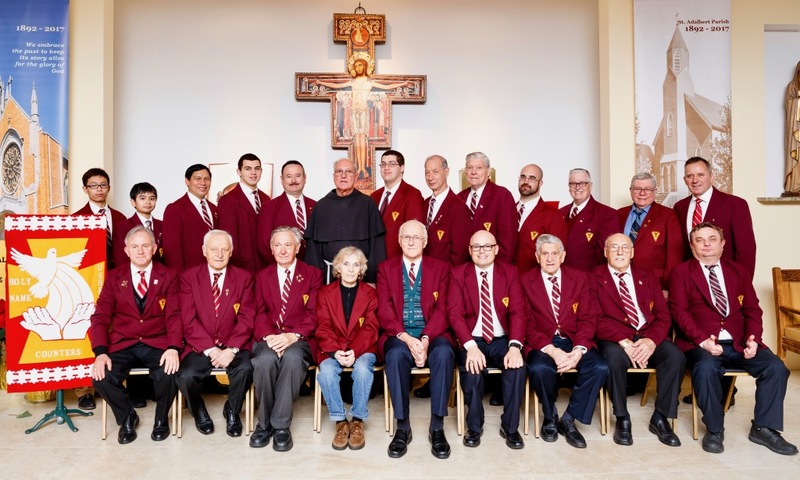 At the time of their founding, this organization was responsible not only for keeping a semblance of order and assisting people during Mass, but also for organizing various parish functions. From their beginnings in the 1940’s until now, the ushers provide dedicated service during Eucharistic celebrations. Parish Ushers continue today serving St. Adalbert Parish at weekend Masses, and many other liturgical church services during the year. They can be seen at the entrances to the church welcoming parishioners and visitors to our parish while assisting in collecting weekly church contributions and distributing Sunday bulletins. They meet once a month under the leadership of Frank Filip and Fr. Herman Czaster OFMConv., their moderator.